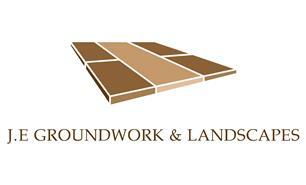 J.E Groundwork & Landscapes - Driveways/Patios/Paths, Landscaper based in Ashford, Middlesex. J.E Groundwork & Landscapes is your local Specialist in Driveways, Landscaping, Gardening, Patios, Fencing, Gates and Garden walls. We are a friendly and efficient company that provide top quality Ground works, and all types of Surfacing, Block paving, York stone, Indian stone, Turfing , Patios and pathways and any other front and back garden services to compliment any garden. Our experience, expertise and efficient approach have ensured we have become an established and trusted name, with a reputation for a courteous professional service. All our work is guaranteed and we provide on-site surveys and advice, we understand that customer satisfaction is the key to the success of any firm, that's why we work hard to ensure that our customer's receive a quality of service that continues our reputation.